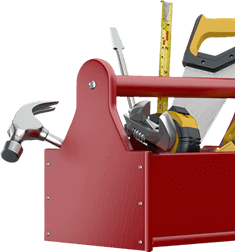 We Specialize in electrical, plumbing, and hvac repair and maintenance. Put your building back in order with commercial cleaning services from First Class Cleaning and Handyman Pros. We handle everything from janitorial services such as cleaning to junk removal and Landscaping to put your property in pristine condition. Our property maintenance services are built around your schedule to ensure your office or complex is maintained regularly and appropriately. Contact us to learn more today. Coming home to a house that’s clean and comfortable gives us all a wonderful feeling. Get the free time you need. Let us help your home run more smoothly with a wide range of affordable repair, improvement and remodel services. Let the professional cleaners at FirstClassCleaning & Handyman Pros Inc. clean your home with the caring and expertise enjoyed by thousands of our customers. We specialize in not only residential services, we also specialize in commercial services with a 49 point checklist to make sure everything is done right. We don’t just make the beds, we clean beneath them too. We guaranteed you’ll be satisfied. 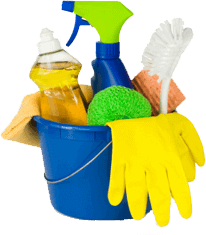 We offer one-time, weekly, bi-weekly or monthly cleaning. It’s time to catch your breath, let our Handyman do the work! Call today or email us for an easy, free estimate. FirstClass Cleaning and Handyman Pros, Inc. has been in business for 15 years and continues to thrive today because of our dedication to quality house cleaning, home repair, handyman services and customer care. We started out with 2 employees and have grown to a staff of 15 to handle our customers’ needs. Our mission is to treat our customers the same way we would like to be treated and we clean your house or office as if it were our own. Satisfaction guaranteed. Maintain a spotless environment by calling First Class Cleaning and Property Handyman Pros, Inc. Junk removal, office cleaning, post construction and building maintenance, commercial cleaning, snow removal, residential/house cleaning, carpet cleaning, tile cleaning, who has the time? We have a 2,200 sq foot second floor that is totally open and was once the upstairs of a former barn. We had never cleaned it in the 20 years we lived in our home (we don’t live on the second floor) and it had become a dumping ground for our family-old toys, furniture, electronics, old windows, etc. First Class Cleaning Pro’s attacked it and did a GREAT job. They hauled away a ton of garbage and cleaned every exposed area (after ripping up old carpet). It was absolutely filthy and is now SPOTLESS. VERY professional team. We are THRILLED! Sign up for weekly or bi-weekly service and your 5th cleaning is free. © 2019. First Class Cleaning & Handyman Pros Inc. All Rights Reserved.